Joint preservation is a new and emerging concept that is going to be the future of orthopedics. Joint pain is common in both adolescents and adults and can stop them from enjoying the activities they love. Read on to learn more about joint preservation, treatment options and benefits. Joint preservation refers to all types of joint care and is a way of restoring normal joint motion and function without replacement. This concept may allow orthopedic surgeons to avoid the removal and replacement of tissues known as a joint replacement. Joint preservation is an option for patients in their early teen years to the middle aged. Not everyone is a candidate for joint preservation. A prime candidate is someone who is young, healthy, and a non-smoker. The joint prevention techniques are not indicated for someone with arthritis. Those who have already had surgery for a joint replacement can still be a candidate for joint preservation. If you have already had surgery and are still having problems, we want to evaluate you to determine if joint preservation is an option for you. Every patient is different. Your joint preservation strategy will be customized to you based on your situation including your age, goals, level of joint pain and activity level. Joint preservation can be surgical or non-surgical. Joint preservation is most common in the knee, hip and shoulder but can be used to treat other joints. You can damage a joint suddenly with an injury, or the damage may be gradual, hurting you periodically at first and becoming more painful over time. Most causes from joint pain do not require surgery. Even in the case of osteoarthritis, wear and tear arthritis, surgery is not the first choice. You will want to preserve your joints for as long as you can. This is why joint preservation is becoming a popular option. The goal of joint preservation is to restore pain-free function and get you back to doing what you love. Joint preservation can involve a variety of treatments including medication, physical therapy, activity modification, injections and surgery. Injections are a non-surgical joint preservation option. A viscosupplementation injection is a natural fluid that can help lubricate the joint to reduce friction. This allows for pain relief and mobility for several weeks or months. Microfracture surgery is a cartilage repair that works by creating tiny fractures or tiny holes in the underlying bone. This creates blood supply and stimulates growth of new cartilage, which allows new cartilage to develop. This procedure is done arthroscopically, a minimally invasive procedure on a joint. A small bone burr is used to remove the damaged cartilage, and remove the calcified bone layer to stimulate cartilage growth. This procedure is done arthroscopically. Healthy cartilage tissue (graft) is taken from the bone that bears less weight and is transferred to the injured joint. This method is used for smaller cartilage defects. This procedure may be done arthroscopically, or through a mini-open incision. A cartilage tissue (graft) is taken from a donor and transplanted to the site of the injury. This method is recommended if a larger part of cartilage is damaged. It can be shaped to fix the exact contour of the defect and then be pressed in place. Allografts are usually done through mini-open incision. Tissue engineering is an emerging concept in orthopedics to make the body grow healthy cartilage tissue. Stem cells are the basic human cells collected from living human tissue, like bone marrow. When stem cells are in a specific environment, they can give rise to cells that are similar to the host tissue. The stem cells placed near the damaged joint surface will stimulate cartilage growth. This procedure is done by surgically and, is still in its infancy in regards to its best use for joint problems. Recovery from surgical procedures can take up to three to four months. The length of time for recovery depends on the location of the affected joint, the type of treatment and your overall health. “Once we are along in the healing process, we will get you to a physical therapist to restore the motion and strength to get you back to your normal functional level,” said Chad Micucci, M.D. Physical therapy can help you build strength in the muscles surrounding the affected joint by supporting and stabilizing the joint. The physical therapists will show you how to perform stretching exercises to improve flexibility to restore full range of motion in the affected joint. Over time, the physical therapy will allow you to move easily without any pain. As the healing progresses, your therapy will focus on strengthening the joint and the muscles that support it. It may be several months before you can safely return to doing sports activity. The greatest benefit of joint preservation is keeping your natural anatomy. We may be able to delay or prevent patients from getting a knee replacement at a young age. “The ultimate goal is to determine each individual’s goal regarding their injury. We want to make the joint the best we can make it, whether it’s walking pain free or getting back on the basketball court,” Micucci said. Our surgeons are utilizing the most modern and innovative techniques in orthopedic surgery including arthroscopy, nonoperative modalities and rehabilitation. MOA | Joint Preservation from InnerAction Media on Vimeo. Our goal is to get patients back to doing the activities they enjoy by preserving the joint to assure pain relief and full function. 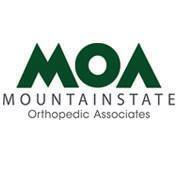 At Mountainstate Orthopedic Associates, we want patients to know that joint replacements are not the only option. Our joint preservation center will allow us to provide joint preservation surgery with a level of expertise unavailable at any other practice in the region. Give us a call at 304-599-0720, or click below to schedule an appointment.